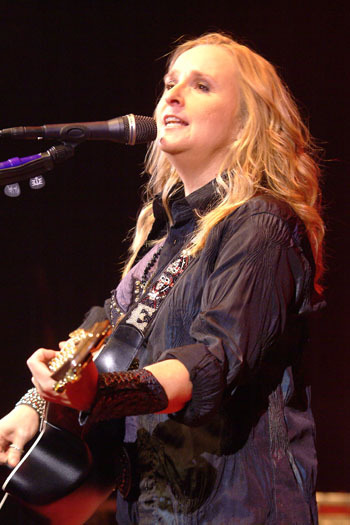 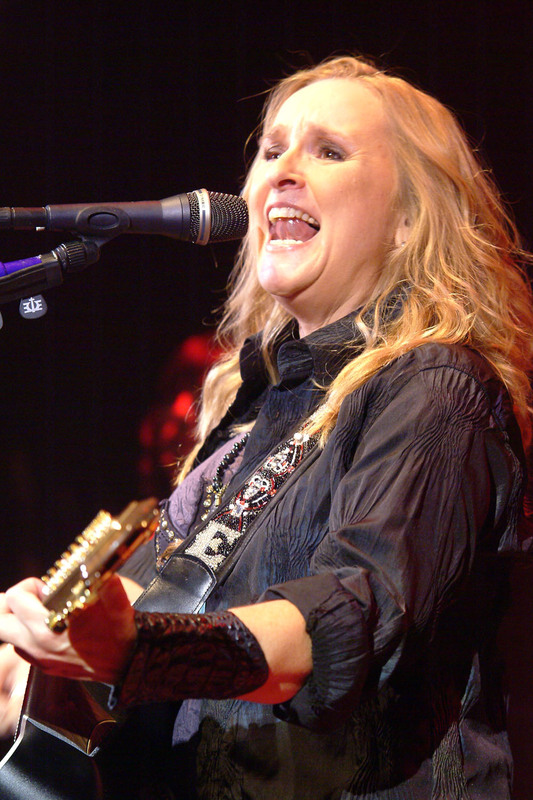 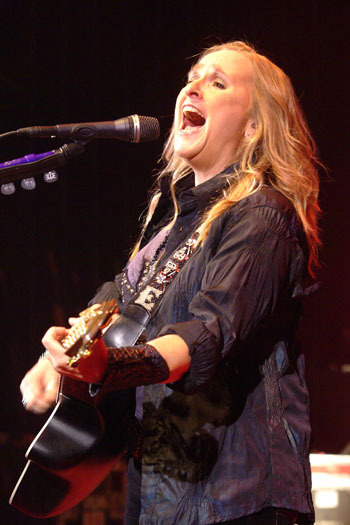 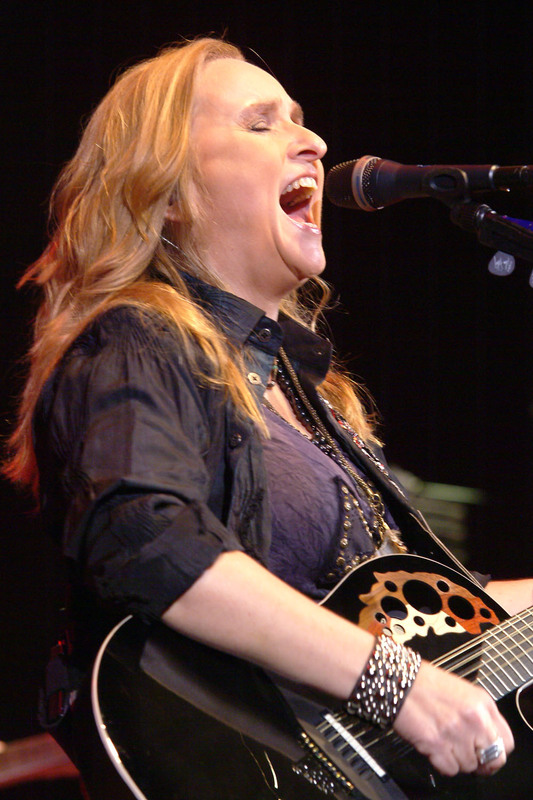 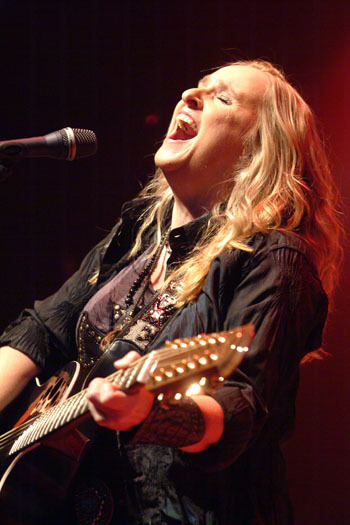 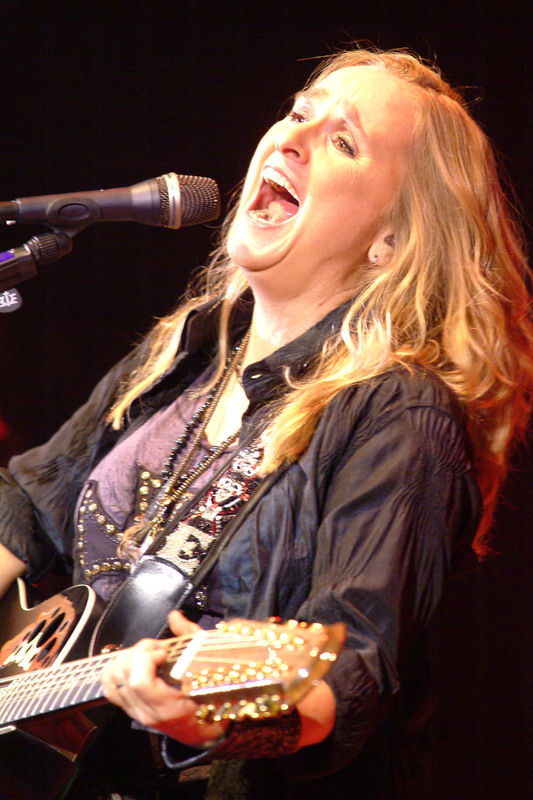 Nearly quarter of a century after she was tagged with the likes of Steve Earle as the then fashionable new country, Melissa Etheridge has stood the test of time with a multi million selling career while still staying unwaveringly true to herself. 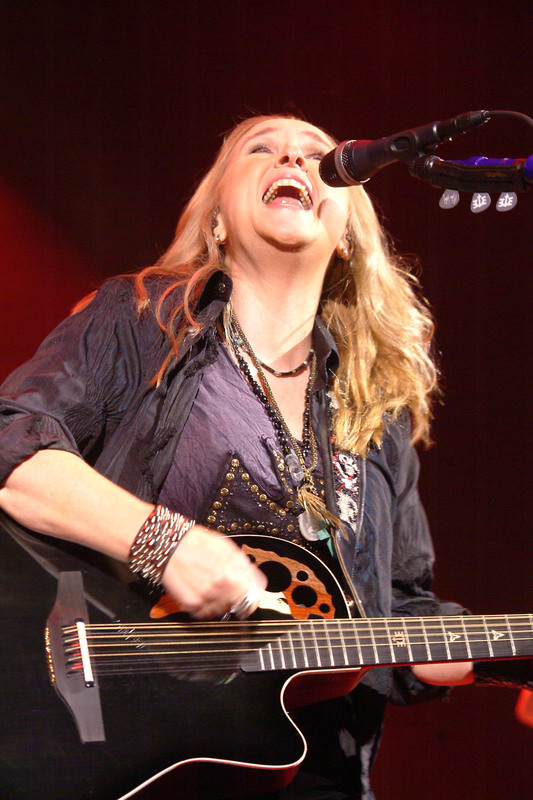 Surprisingly though she has never had a hit in England and even her return for a second time in two years to the modestly sized Shepherds Bush Empire was not a sell out. 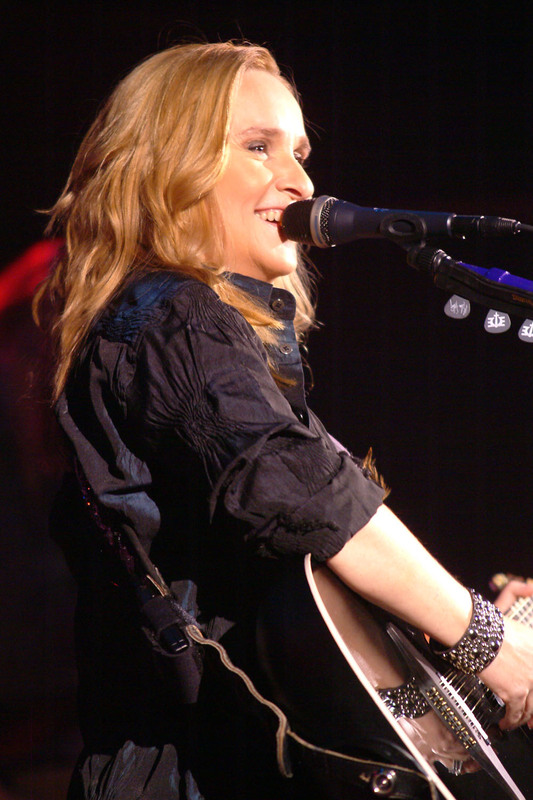 Yet you rarely see a bond this strong between an artist and an adoring audience, predominantly of the 'sisterhood' for whom she is a heroine for being one of the first female rock stars to come out and, more recently, her successful battle with cancer. 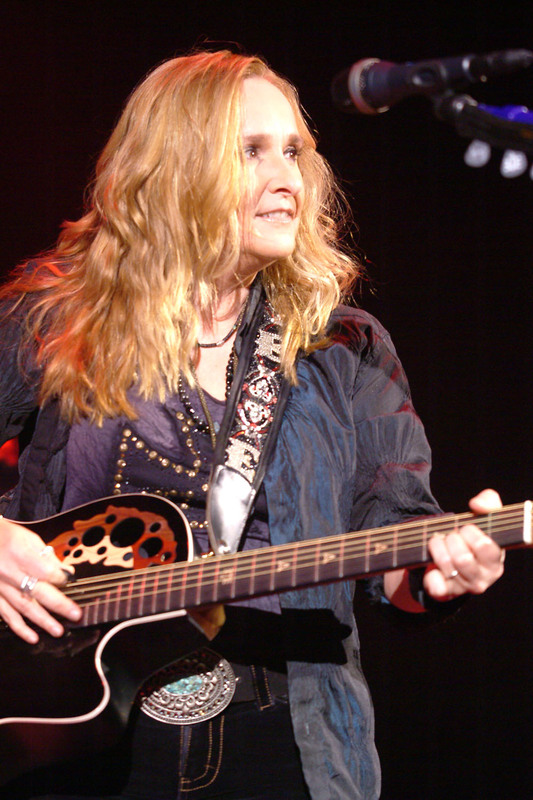 Looking a picture of health at 50, she came on after her band with acoustic guitar in her trademark jeans and shirt, opening with the U2-esque title track from her last album, and in my view the finest of her career, 'Fearless Love', before dipping back over 20 years with 'No Souvenirs' and the funky 'Chrome Plated Heart'. 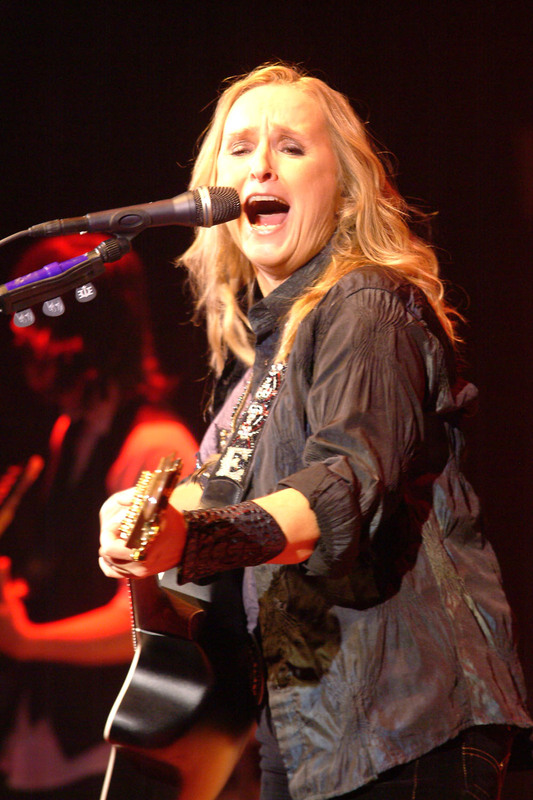 Chatting to the audience between songs, she came over as a slightly kooky aunt or big sister, and quite an anglophile, discussing rail buffet food, the likelihood of travel chaos during the Olympics, and how Americans feel compelled to put on bad English accents. 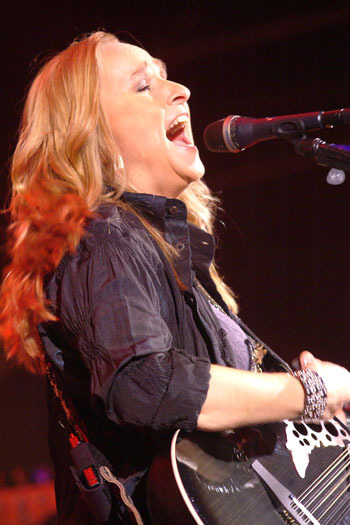 Her strong, throaty voice is as good as ever and she has the ability to reach a note and hold it, shown best on a dramatic treatment of 'I Want to Come Over', while her band kept it simple and did not try and compete for a share of the limelight, but produced some impressive interplay, such as on 'Ruins', while guitarist Peter Thorn was sometimes allowed to stretch out on the likes of 'The Wanting of You'. 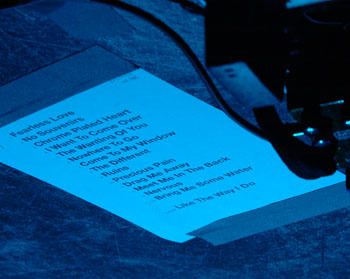 Rather than a greatest hits set, there was an impressive diversity of songs I was less familiar with, including Precious Pain with Melissa joking she was showing her singer-songwriter credentials by playing harmonica, the very powerful 'The Different', and 'Meet Me in the Dark', with a sixties feel and an audience singalong. 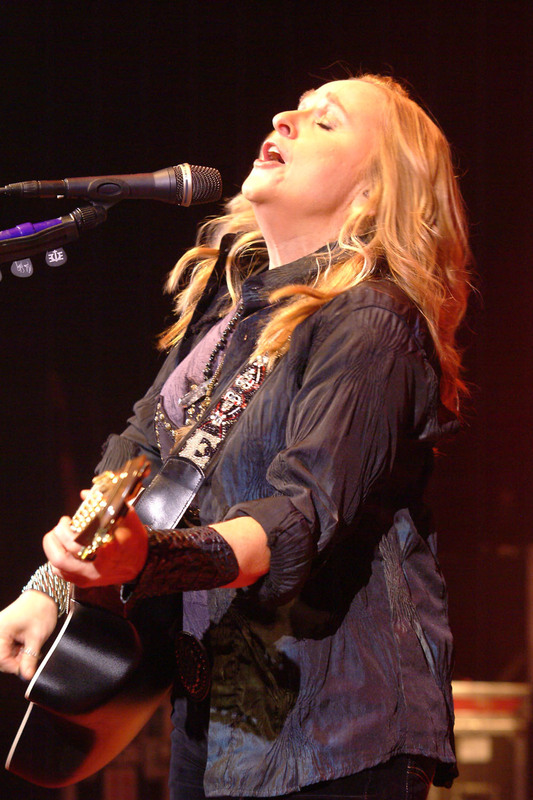 This show did not plug her latest album to the extent her 2010 show had, but both 'Drag Me Away' and 'Nervous' rocked harder than those unfamiliar with her work might imagine, and built the show to its usual rocking out climax of a lengthy 'Bring Me Some Water', Melissa jamming with Peter and bassist Brett Simons, and an encore of 'Like the Way I Do' with the band creating a lively groove with some great interplay, which belatedly got a few people in level 1 to their feet. My one gripe was that, despite the 2 hour set length, the chat and jamming out meant that she only fitted in 15 songs, and a number of her best loved songs such as 'I'm the Only One' and 'Similar Features' were omitted. 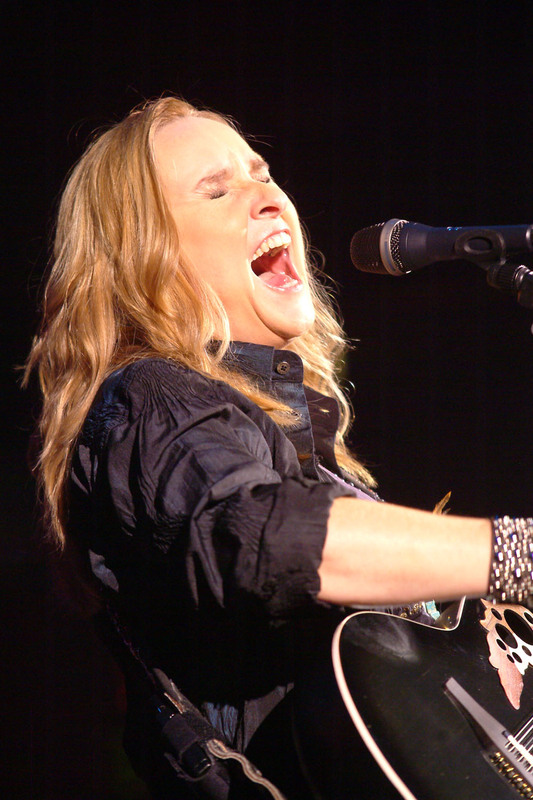 Perhaps this show would have preached to the converted rather than winning new fans, but as well as being an all American icon, Melissa Etheridge seems to get better and rockier with age.